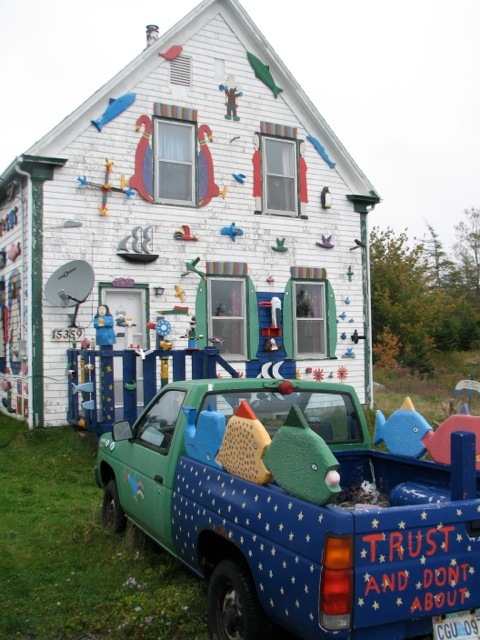 EAST SHIP HARBOR, NOVA SCOTIA—It’s easy to find Barry Colpitts’s home gallery. 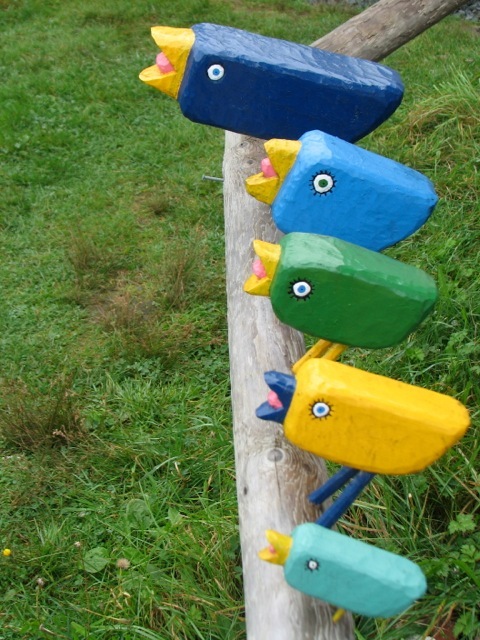 Folk art adorns the house, lawn, barn, shed, fence, car, even the mailbox and truck. Hand-carved, two- and three-dimensional birds and fish, saints and sinners, mermaids and fishermen, augment every available surface. Even shutters, trim, railings, and newel posts have been transformed into works of art, all painted in bold colors using shiny boat paint. “Bright colors make me feel good. Nothing else looks right,” he says. Even on a dreary day, it’s a smile-producing sight. Colpitts’s religious convictions are evident in his use of angels and crosses and his whimsical interpretation of the seven deadly sins: yelling all the time, wanting other people’s stuff, eating too frigging much, looking too hard at someone else’s wife. 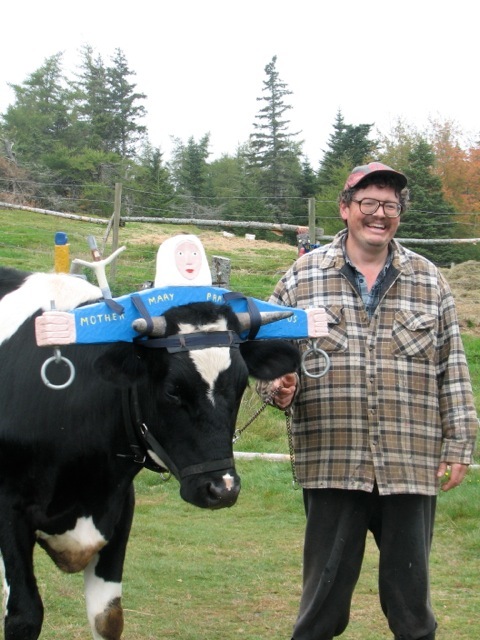 Even the oxen on his small farm are blessed with yokes accented with religious icons. “They need all the help they can get,” he quips.